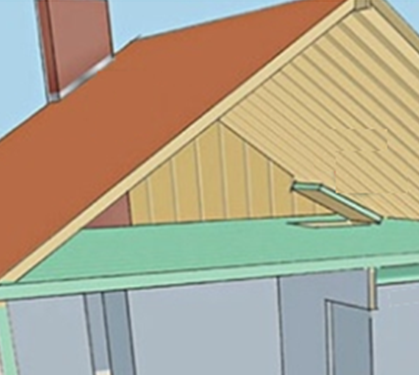 Touch ‘n Foam offers a number of products for insulating and sealing various areas of a typical attic. Our 2-component spray foam insulation kits are ideal for insulating large areas like attic floors and walls. Ready-to-use sealants and gun foams are ideal for sealing hatches, soffits, large gaps and HVAC, electrical and plumbing penetrations. Air infiltration along the top wall plate at edge of the attic causes heating/cooling loss and adds energy expense. 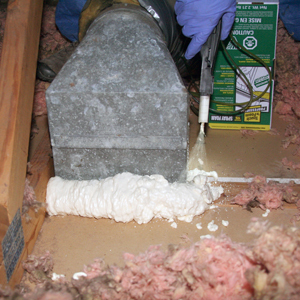 Spray insulating foam sealant to cover edges of wall plate where it meets attic floor and joists to stop air infiltration, block pests and reduce energy costs. Attic hatch doors are a common point of heat/cooling loss, causing higher energy bills. Remove loose insulation. Spray a bead of foam sealant or gun foam to fill perimeter gap. Let cure before closing door. Spray foam on outer edges of attic hatch assembly to seal exposed seams with studs and joists. 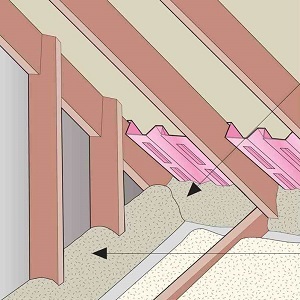 Heating and air conditioning ducts in attics penetrate living areas, creating gaps around duct boots and grill plates that result in unwanted air infiltration. Spray foam sealant around HVAC boots where they penetrate the drywall below. Also, spray foam where flexible ducts connect to the penetrating boot.